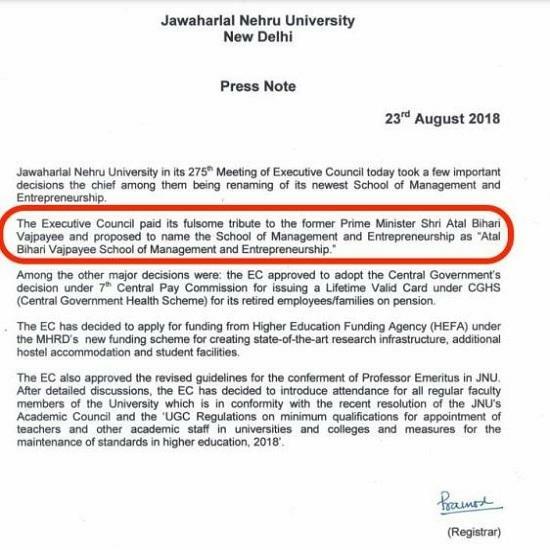 The Jawaharlal Nehru University (JNU) also decided to give a special tribute to former PM Atal Bihari Vajpayee just like other university is doing. Yes, JNU to rename its institute in the name of the former PM. Yes, a new management school of JNU to be renamed after the former PM, who died on 16th August 2018. On 23rd August 2018, JNU conducted its 275th Executive Council meeting in which the decision to rename its newest School of Management and Entrepreneurship has been taken. However, JNU is not the first university who has given a special tribute by renaming its institute after former PM but in Chhattisgarh also various institutes have also announced to rename their institute name also. Even, the new capital of Chhattisgarh’s ‘Naya Raipur’ has also renamed as ‘Atal Nagar’. Also, the Bilaspur University, the Central University also renamed as Atal Bihari Vajpayee University. 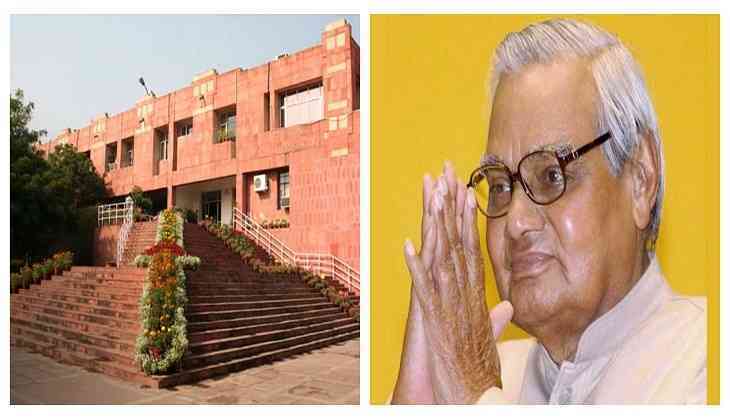 Meanwhile, Atal Bihari Vajpayee took his last breath at Delhi's All India Institutes of Medical Sciences at around 5:05 pm and died at age 93. He was admitted in AIIMS in the month of June and due to his prolonged disease, his health started deteriorating. He was also shifted to Life Support System.